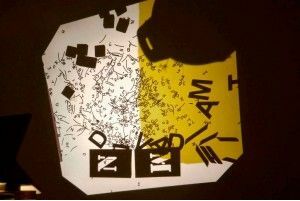 Explore, experiment and create, based upon the book Letter by letter, by Àngels Navarro. From 11am to 1pm at ACVic Centre d'Arts Contemporànies (Sant Francesc, 1 Vic). In this workshop, we'll delve deeper into the world of literature with Angels Navarro's alphabet book. Learn about artists who play with words, and find out what's hidden behind each letter, playing wild literary games with the help of all the family. By Bruna Dinarès, Bruna Sadurní and Elisabet Wenceslao with evaluation by Assumpta Cirera-Tuti. Registration until Thursday 19th November 2015. Please use the accompanying form, or call us at 93 885 37 04. Limited places.